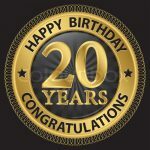 Tamworth Conservative Association is celebrating its 20th year today. The new Association was formed on 1st January 1997 following changes to the local Parliamentary Constituency brought in by the Boundary Commission on the same day. Tamworth had previously been part of the South East Staffordshire Constituency, however, following boundary changes that included Whittington village moving to the Lichfield Constituency, South East Staffordshire Constituency was renamed Tamworth and South East Staffordshire Conservative Association, which ceased on 31st December 1996, was replaced by newly formed Tamworth Conservative Association. The last 20 years have been momentous for the Tamworth Conservative Association in many ways, we again have a Conservative MP representing the Constituency, Christopher Pincher, and today the Conservative Party controls 4 councils covering the Tamworth constancy compared with none in 1997. Staffordshire County Council, Lichfield District Council, Tamworth Borough Council and Fazeley Town Council are all again controlled by the Conservative Party. Staffordshire’s first elected Police and Crime Commissioner, which controls policing in the Tamworth Constituency, is also a Conservative Party member. Here is to the next 20 years.